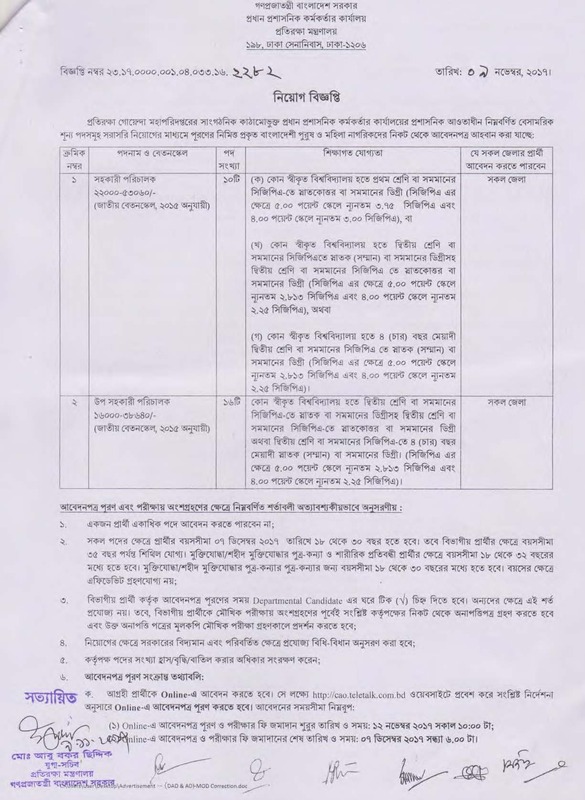 Ministry of Defence job circular for the post of Assistant Director and Deputy Assistant Director. Defence ministry has published a recruitment notice for civilians posts. Defence ministry if one of the most important ministry of Bangladesh. Generally it is headed by the Prime Minister of Bangladesh. Generally defence ministry of any country command armed forces of that country but in this case Defecnce ministry is little different as it doesn’t command arm forces of Bangladesh. It works as a subordinate to Bangladesh Arm Forces. All Bangladeshi people both male and female can apply for this recruitment. Salary Range : 16,000 – 53,060 TK. Educational Qualification : Hons. and Master in any subject. Application fee : 500 Taka for Assistant Director and 300 Taka for Deputy Assistant Director. An applicant can’t apply more than one post. For general quota age limit is maximum 30 years on 7 December 2017, for departmental candidate 35 years and for Freedom fighter quota age limit is 32 years old. 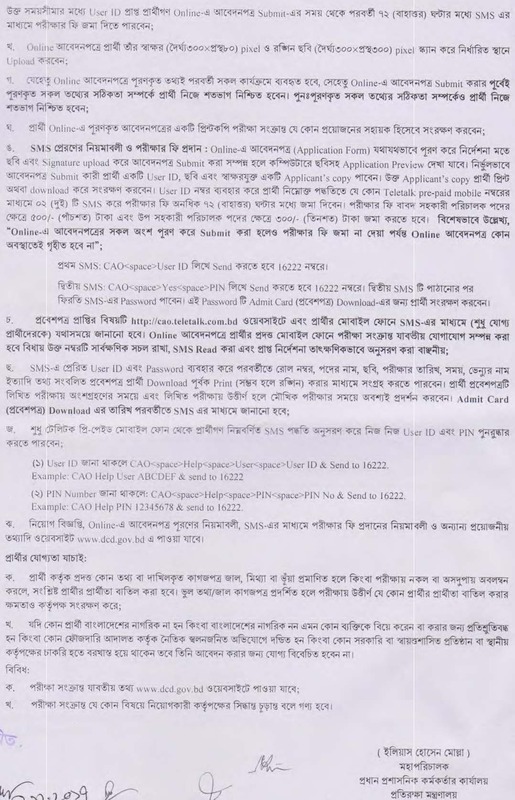 All information about job examination date, time, admit card, exam center, exam result and viva schedule and result of Defence ministry will publish here our website at www.careerguidebd.com. Subscribe and share this job to stay connected with us to get all job information.